Avocados are a superfood that everyone should include in their diets. This fruit is something that has so many benefits for you. It’s not something that you eat just because you know it’s healthy for you. Yes, it’s a fruit but it goes beyond that. Knowing exactly how it can help you will change the way you look at this fruit. It’s probably going to make you want to add it to almost everything you eat. The good thing about avocados is that they go well with just about everything you add them too, whether it’s breakfast, lunch, dinner, or a snack. If you have the chance to add avocado to any of your meals, you should take advantage of the opportunity. They won’t alter the taste that much but they will give you a significant health boost in more ways than one. Below are 13 benefits of avocados. Eating one avocado is going to be able to give you all of the benefits your body will thank you for at some point. Like a lot of fruits, avocados contain a lot of vitamins that are going to promote a healthier body. Other than the seed, you can eat the entire avocado, skin and all. Although, most people tend to stay away from the skin. 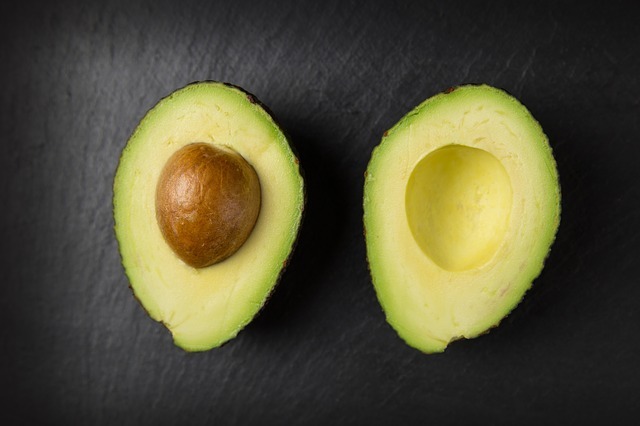 Avocados contain a larger amount of B vitamins that are going to help you with your energy throughout the day and can help lower your chances of stroke. They also contain vitamins C, E, and K which will boost your immune system. Having a better immune system is going to help your body fight off sickness later on in life. Having healthy skin gives you a certain glow that people tend to notice right away. For those that believe they have dry skin avocados are going to provide you with certain vitamins that will give you a natural moisturizer. You’ll be able to retain more moisture on your skin for a longer time. People that have dry skin lose moisture on their skin relatively quickly. 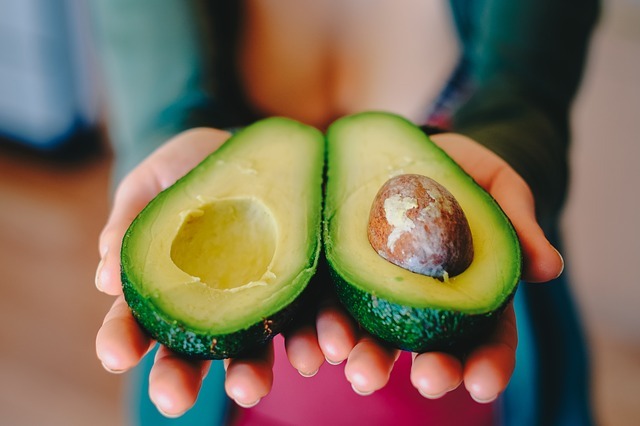 Avocados aren’t going to stop you from losing that moisture, but it does slow down the loss of it meaning your skin will be hydrated for a longer time. Some of the vitamins in this fruit are part of the synthesis of collagen which is vital in keeping your skin looking healthy for a long time to come. Hopefully you understand that poor cholesterol comes from a poor diet. Some of it is genetics and other factors but a massive part of it is diet. 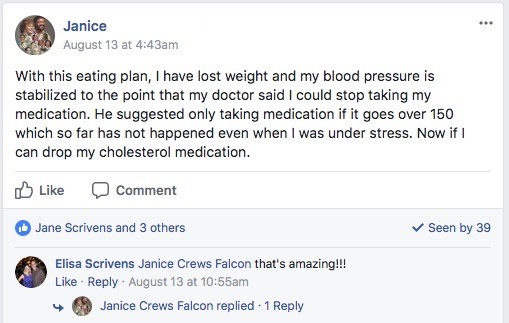 If you watch what you eat and have a good sense of everything you’re putting into your body you shouldn’t have to worry about your cholesterol. Adding avocados to your diet is going to give you even less to worry about when it comes to your cholesterol. They are going to improve your HDL levels, which is the good cholesterol, while at the same time lowering your LDL levels, the bad cholesterol. If you look at the average person’s diet, you’ll see that they probably don’t get enough fiber. Most people seem to struggle getting enough fiber into their diet. Avocados are here to help. They are very rich in fiber. 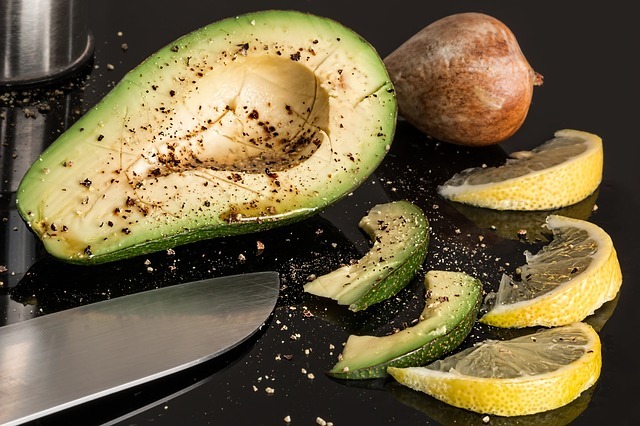 You’ll be getting both soluble and insoluble fiber when you dig into an avocado. For those that don’t know, soluble fiber is going to help with your gut health, which is something that you always need to be aware of. Insoluble fiber is going to help with your bowel movements and help you stay more regular when you’re going to the bathroom. Diabetes is something that nobody should take lightly. It’s not something that’s very easy to manage because of the amount of foods that can actually help with it. Avocados are able to slow the absorption of sugars in your blood stream, thus helping those that are diabetic. It also allows insulin more time to process any carbs that your body is trying to digest and process. Arthritis is something that causes a lot of people pain in their body. Typically, people will go with over the counter solutions to help the pain. However, this is only a temporary ease of the pain. A lot of the pain comes from inflammation in your joints. Avocados are able to help with these conditions. They will help fight to lower the pain by reducing inflammation all over your body. When you don’t have to worry about certain areas of your body being bigger than they should be then you’ll start to notice that the pain doesn’t come nearly as often. Although avocados may not have all of the nutrients that you may want, it can help in the absoprtion of the ones you may feel you need. They help in the absoprtion of lutein and zeaxanthin which have been proven to reduce the development of cataracts and slow down the degeneration of nerves around the eye. Although these may not be things you’re too worried about now, they will play a much bigger factor when you’re older. The liver can be considered one of the most important organs in your body. Because of this, you’re going to want to do everything you can to protect it at all costs. The liver is very efficient so the best thing for you to do is to make sure it continues to run like a well-oiled machine. Avocados are going to be able to do that. They help reduce symptoms of fatty liver disease which is something that you don’t want to ever deal with, especially when you’re older. A lot of the time, even if we are eating plenty of fruits and vegetables, we may not get all the benefits because our body doesn’t absorb as much as we would like it to. Fiber is what actually holds out bodies back from absorbing all the nutrients that we can from fruits and vegetables. Yes, fiber is needed in our diets but it can easily act as the villain from time to time. Avocados are able to allow our bodies to absorb more nutrients because of the fats that are in it. So, the nutrients that would typically go to waste are now absorbed because of the fat you got from the avocado. For anybody that is pregnant, folic acid can play a vital role in the development of your child. Avocados contain folic acid which can help prevent some deformities in the womb. 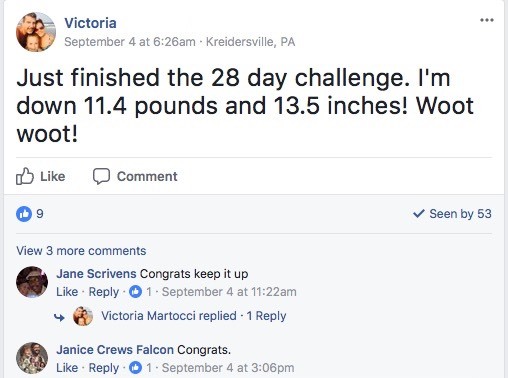 It may not sound like much now but it can help you 9 months down the road. Avocados contain all of the minerals necessary for proper bone formation. Vitamin K is the big one, though. This vitamin isn’t found in many foods so when you’re able to get it without any extra supplements, that’s a good thing. When you’re able to get all of the necessary vitamins and minerals you need for your bone health, your bone density will improve. If you were an athlete and got a cramp in the middle of a game, one of the first things you hear is, “eat a banana.” This is mostly because bananas contain potassium and potassium is said to help with muscle cramps. You should be eating an avocado instead of a banana if you’re looking to get more potassium in your system. More potassium can lead to lower blood pressure which can significantly lower your risk of heart disease down the road. There is such thing as healthy fats. These are fats that are natural in foods that aren’t processed at all. They play a key role in the ketogenic diet where your carbs are significantly limited so you need more fats to lose weight. Having these healthy fats are going to allow a lot of the benefits above to take place. This is why avocados are highly recommended in any diet. You have the healthy fats that are able to improve your health and allow a lot of the benefits to happen. When you have an avocado, you’re allowing yourself to become a healthier person immediately. The benefits should never be overlooked. The only negative would be having too many avocados at once. That can really mess with your body. Too much of a good thing can lead to something bad. Other than that, the benefits of avocados should be looked at as something everyone can benefit from, mostly because they actually can. 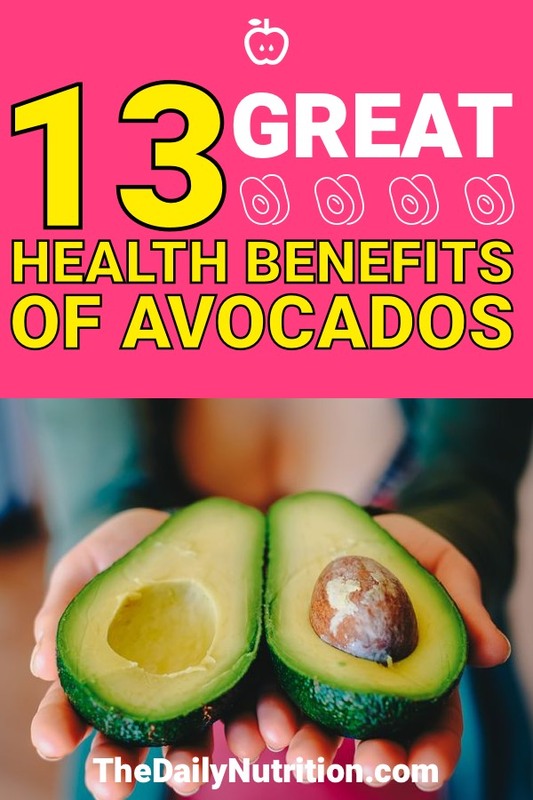 Enjoyed 13 Health Benefits of Avocados Everyone Will Enjoy? Share it with your friends so they to can follow The Daily Nutrition journey.